Anemia is a condition that affects the oxygen-carrying function of our blood; mainly by the red blood cell. Red blood cells are needed in our body as it is the substance that gives the blood its color and assist in the clotting of blood whenever we get a cut. There are three types of anemia; Hemorrhagic Anemia (excessive bleeding), Hemolytic Anemia and Pernicious Anemia. Low energy due to tissues becoming hypoxic (insufficient oxygen content in the blood). The general causes of anemia differ for each of the three types. Pernicious Anemia is the body’s inability to absorb vitamin B12 complex and iron; essential vitamins needed to produce and maintain red blood cells. This type of anemia is commonly known as dietary anemia. 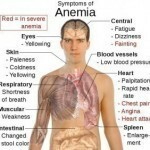 Dietary anemia deals mainly with that of our nutrition and how it benefits our body. Pernicious Anemia is a type of dietary anemia commonly found in the elderly due to the fact that as they increase in age the body cannot readily absorb iron as best as it should. Dietary Anemia is linked to the inadequately intake of iron or vitamin in the diet, or its inability to absorb iron. This can be easily remedied by the taking iron supplements and other nutrients/nutritious medications. Like pernicious anemia, hemorrhagic anemia can be cured with the taking of iron supplements, but only for mild causes such as menstruation or small bleeding ulcers. For extreme causes such as trauma or ruptured aneurysm these are generally treated through blood transfusions. Hemolytic Anemia is caused by the destruction of Erythrocytes. In other words, blood cells are completely destroyed due to toxic elements such as poisonous mushrooms, poison snake and/ spider bites. Other harmful bacteria such as the one which causes malaria can also destroy vital red blood cells causing anemia. 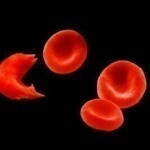 However, the most common cause of hemolytic anemia is caused by sickle cells. Sickle Cell Anemia is a common form of genetic anemia that cause the body’s inefficient ability to form normal hemoglobin due to low oxygen concentrates in the blood.